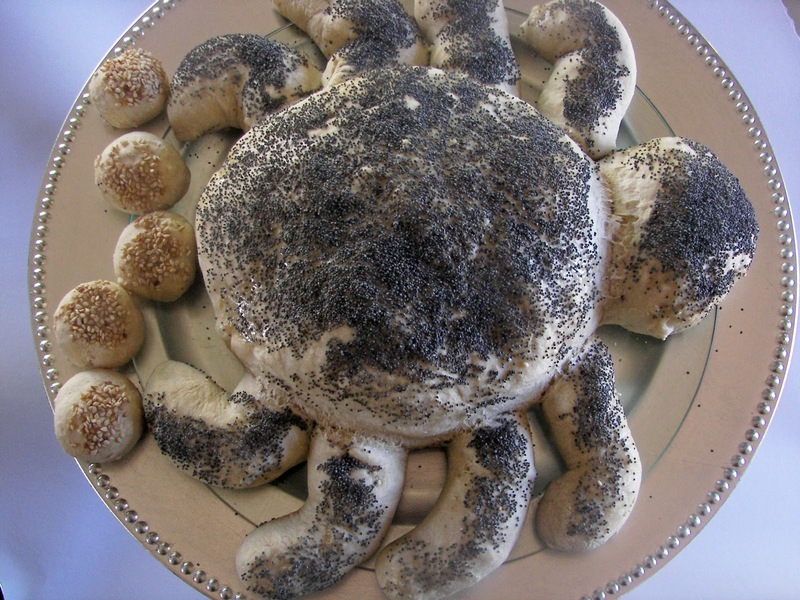 Zoulah adores Spider Bread at Halloween -- bread shaped into a spider with little spider eggs waiting to be hatched. 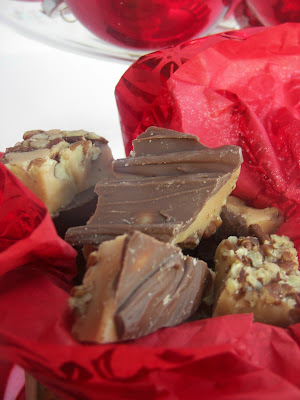 We have been making this for years at the Red Couch home. 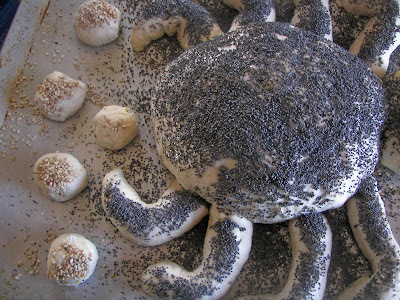 One Halloween, the spider bread was waiting in the fridge ready to be baked after a very cold trick or treat night. After trick or treating, we popped her in the oven and we were so appreciative of having fresh hot bread from the oven; a spider never tasted so good. 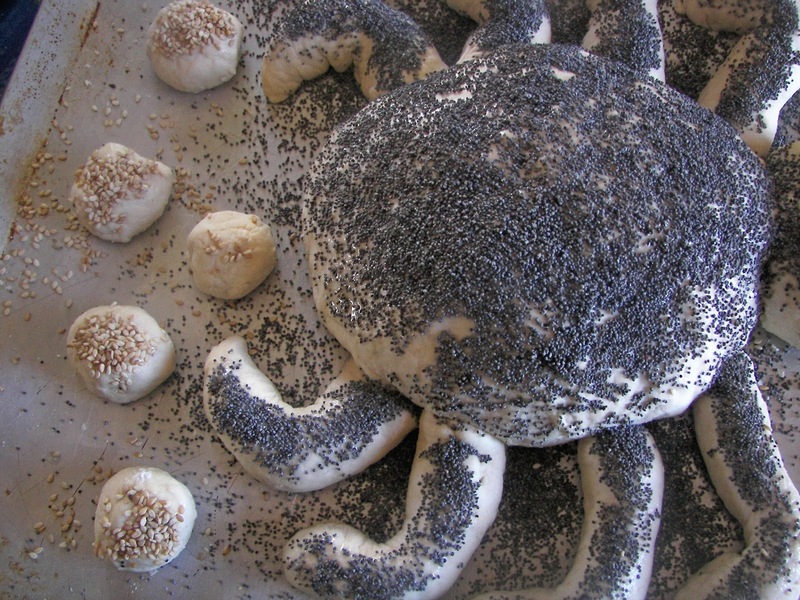 The concept of Spider Bread was taken from a Sunset magazine published years ago and it wouldn't be Halloween at the Red Couch home if we didn't make spider bread. At the dinner table you might hear, "Give me a leg," or "I want the head!" You can use any white or wheat bread recipe you would like. You could even use frozen bread (Rhode's). Click HERE for the Focaccia recipe that I used. If you use the Focaccia recipe, don't add the spices and olive oil -- but, then again maybe it would taste good with all the spices. I doubled the recipe, but you could make a smaller spider. 1. 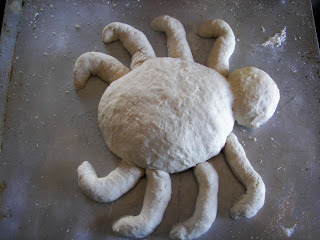 After you have made the bread and raised it, then form the bread into a spider. 2. Separate the dough into one large piece for the body, a somewhat small piece for the head, and eight small pieces for the legs. 3. As the bread will double during the second raising, space out the legs by crooking them a bit -- make sure that they are not touching each other. 4. 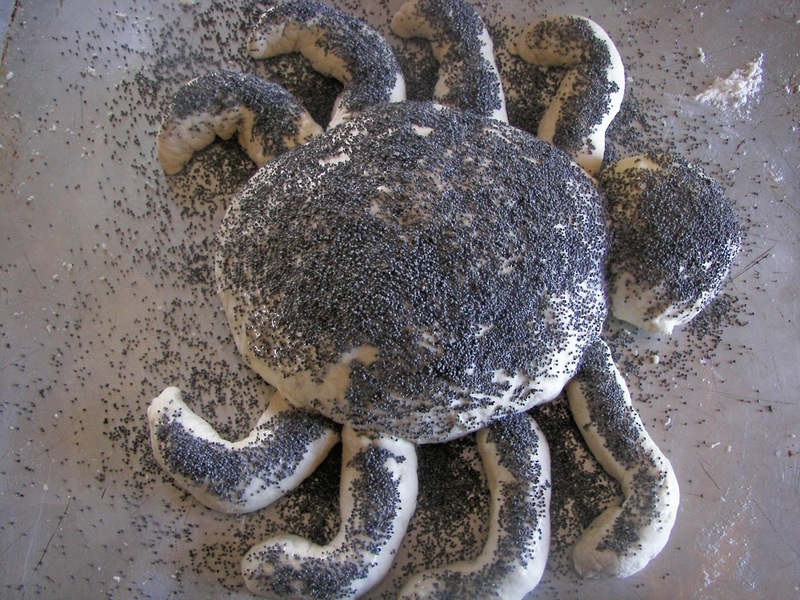 Apply an egg white wash with a pastry brush on the spider body and legs and then sprinkle a generous amount of poppy seeds to the spider. 5. If you have leftover dough, you can make spider eggs by forming the dough into small balls. 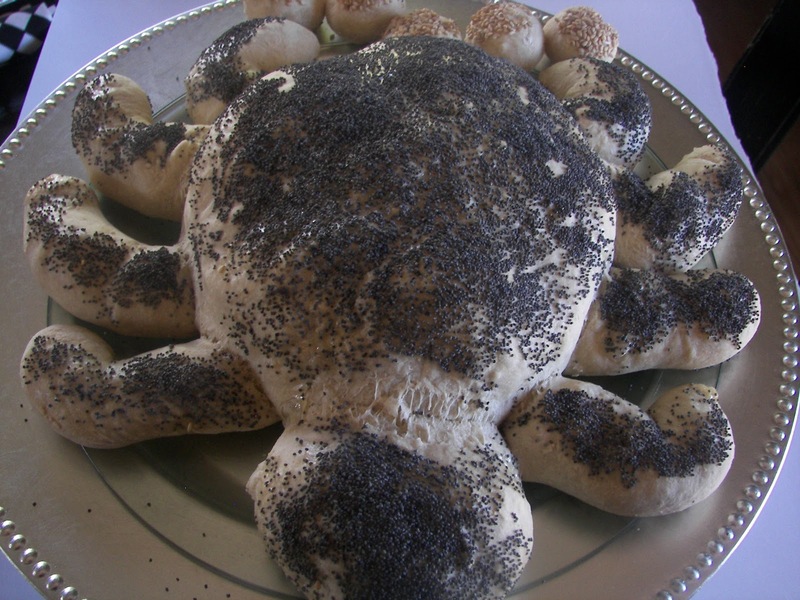 Then apply an egg wash with a pastry brush to the spider eggs and sprinkle with sesame seeds. 6. Let rise again until about doubled. 7. Bake in a 350 degree oven for 20 to 30 minutes. Enjoy and serve with a lovely warming soup. Zoulah thanks you for zoom brooming it by Red Couch Recipes where she still has lots of tricks and treats in her apron pockets. Zoulah, you are brilliant! I may have to do a Christmas-sort-of-spider when my grands come, as this is too cute for just once a year. Maybe with some red sprinkles? thats a lot of bread! LOL! cute idea! Love this! As you stated, I'm sure it's nice to have something savory after all the treats on Halloween! Can't get any better than butter on fresh, warm, homemade bread! 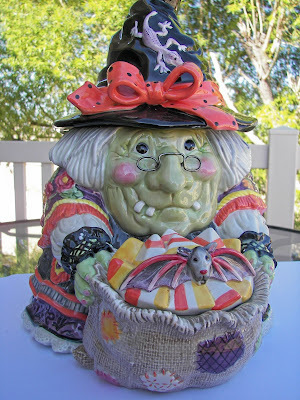 You are having the most fun things on your blog! I love this. My grands are coming next weekend...one would be thrilled with this, the other probably scared to death...but, I may do it anyway! Clever! This is no itsy-bitsy spider, Zoulah! You are a very good witch who has some great friends...a little like Martha Stewart out there. Thanks for another fun idea! Joni is definitely not lazy. Wow, when do you sleep? This is so cute. What a fun project to do with kids. Those spider eggs are cracking me up! Almost too gross to eat! 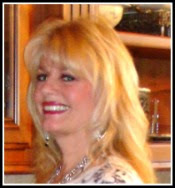 It's official; I adore your blog so much that I just have to become a follower. Great Halloween posts! How fun! I love this spider bread. I know so many people who would love it if I made this! Great photos too! Haha - that is so cute! What can i say? You're amazing!! You have the most creative ideas. I don't think I could eat a spider though, even that one. 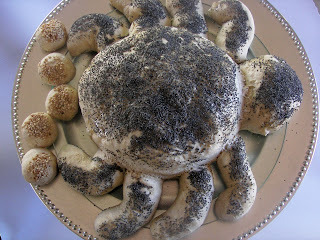 Although I hate spiders, I LOVE your spider bread! So creative!